Exclusive and historic - the village of St James is London's Royal quarter where a veritable labyrinth of old alleyways twist their way in front of and behind of some of the capital's most exclusive homes, shops and palaces. The flavour of this noble district is eccentric, class riddled and somewhat heady. But you won't need a plum in your mouth to discover the places where a sequence of cryptic clues disguise themselves as innocent looking pieces of street furniture, nondescript blue plaques or dull statues of forgotten heroes. OH WE SHOULDN'T HAVE BUT WE JUST HAD TO! Of course, one of the delights of the area, for our St James Treasure Hunt participants at least, is the guards that stand innocently outside St James's Palace, keeping an ever watchful eye on the official residence of the monarch. Since they stand boldly on public display, their bright red jackets resplendent with shining buttons that glint alluringly in the midday sun, we just had to find a way of including them in the quest. And include them we do, although just how we do it... well, you'll have to wait to find out!! In the course of your Royal St James Treasure Hunt you will wend you way in and out of some fascinating squares and hidden courtyards. You will see the dark, long, passageway where the Texas Legation to the Court of St James was once located. 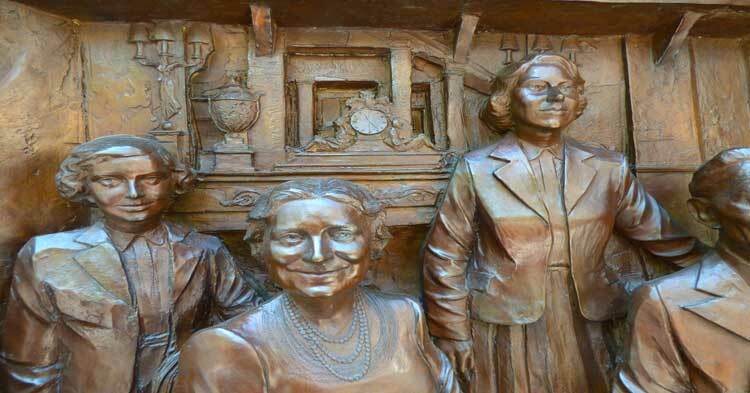 You will see the house where Lady Nancy Astor, England's first woman to sit in Parliament, lived. You will gaze up at the grand old Duke of York and search high and low for his 10,000 men. You will meet with the great Victorian seafarer Sir John Franklin, who set off to discover the fabled North-West Passage and was never heard from again, a little like some of the teams who have ventured out on our St James's Treasure Hunt! FANCY A PINT WITH A PALACE EMPLOYEE? Then there's the wonderful old village pub where off duty guards and those who work at the local Palaces sometimes pop in for a drink. It's not actually a part of the Treasure Hunt but it makes for a welcome respite from the race against time as you hurry to finish first. 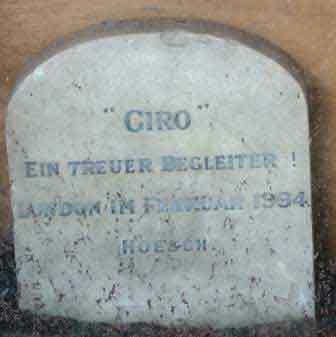 Do you know where the German Ambassadors dog is buried by the way? Well, you will at the end of the Royal St James's Treasure hunt. Do you know where Dwight D. Eisenhower masterminded the liberation of North Africa? This little nugget of history will also be yours by the end the treasure hunt. Do you know where we get the word POSH from? You'll be able to tell your friends the answer in your most refined voice once you've tripped your way around this village of refinement. The route, you see, is smattered with fascinating places and little snippets of information that will make for a truly memorable journey that will furnish you with loads of anecdotes that you'll be dining out on for months! Whatever the reason for your activity, be it for purposes of team building, socialising or just to have a bit of frivolous fun, this enchanting Royal village will provide you with some wonderful surprises and ensure that your interest never wanes from start to finish. Great fun, excellent team building and true fascination are all to be had on an eventful journey in the course of which you may even get to meet the "odd" aristocrat and maybe even a Prince or two. And, when all is said and done, it doesn't matter one iota how posh you are, the Royal St James's treasure hunt is a great social leveler whereby the ruling classes are seldom the ones who forge ahead and pay little heed to their surroundings. Indeed, the treasure hunt monarchs often turn out to be the ones who have taken their time, who have peeked into every exclusive corner of this truly exclusive enclave, and who, having done so get the added satisfaction of raising a silver spoon and waving it tauntingly at their adversaries once they have claimed the crown of being the treasure hunt champions of Royal St James. The cost of the St. James's Self Managed Treasure Hunt Package is £140.00 for 4 packs.